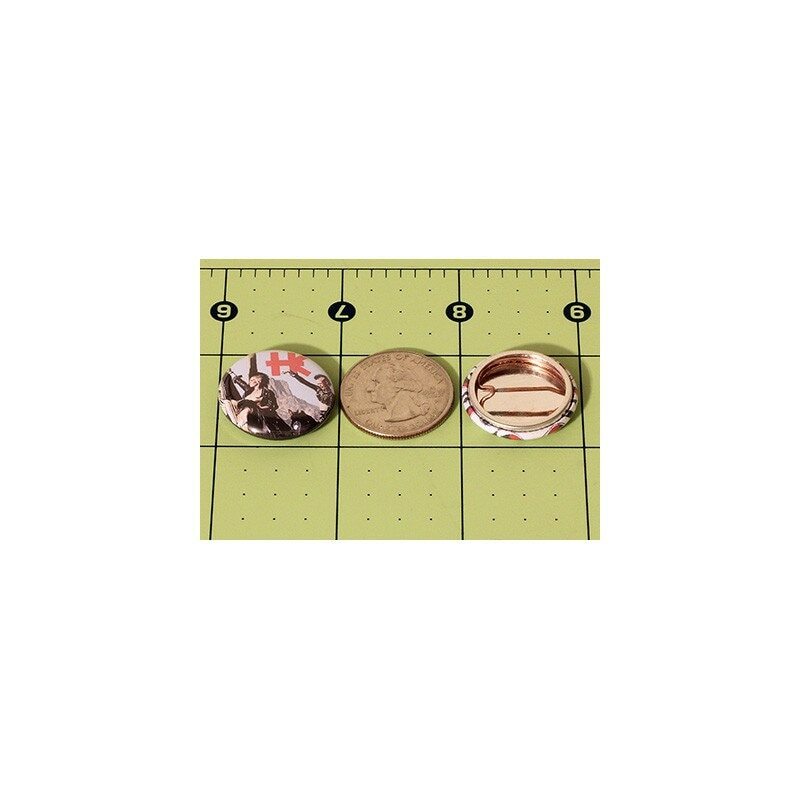 This listing is for a 1 inch (2.54 cm) pin back button. Our excellent button machine also makes fridge magnets! If you prefer a 1 inch magnet, type something like "magnet, amigo" in the note section of your order. Otherwise, you will get a button. 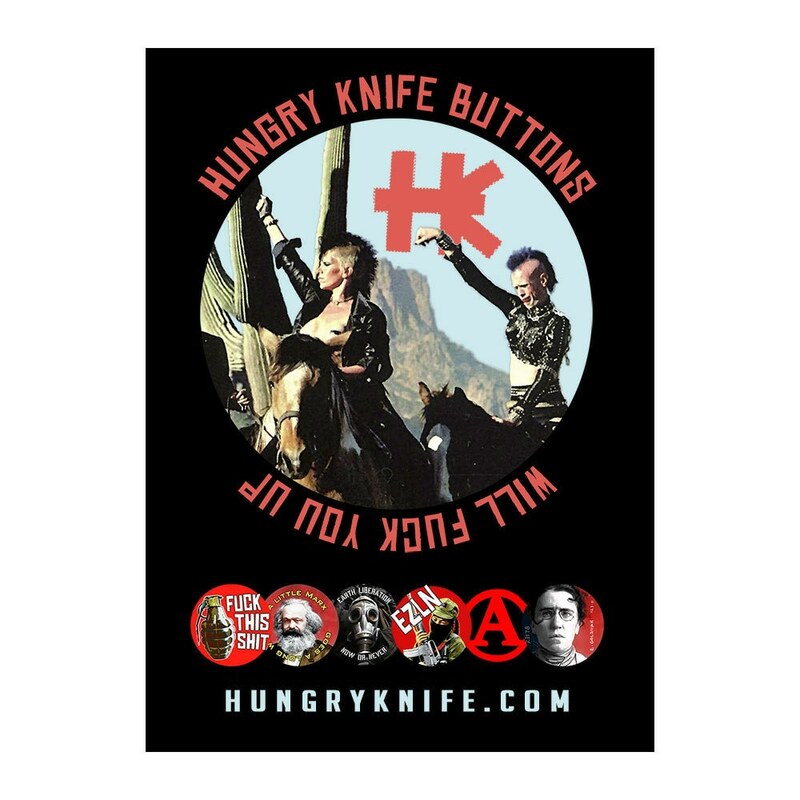 Hungry Knife buttons are made right here in our workshop! Our awesome 1 inch buttons are made from high resolution PIGMENT prints. Pigment inks are fade proof so these little gems will look good damn near forever! This item ships via first class mail. Check, US money order, PayPal or credit card through Etsy. Convo us to Reserve an item or to make payment arrangements. We ship via USPS for domestic and international orders. T-shirts, desert flowers, totes, keychains and jewelry are shipped via USPS Priority Mail. USPS Priority Mail usually delivers in 2-3 business days. USPS will provide you with tracking information. 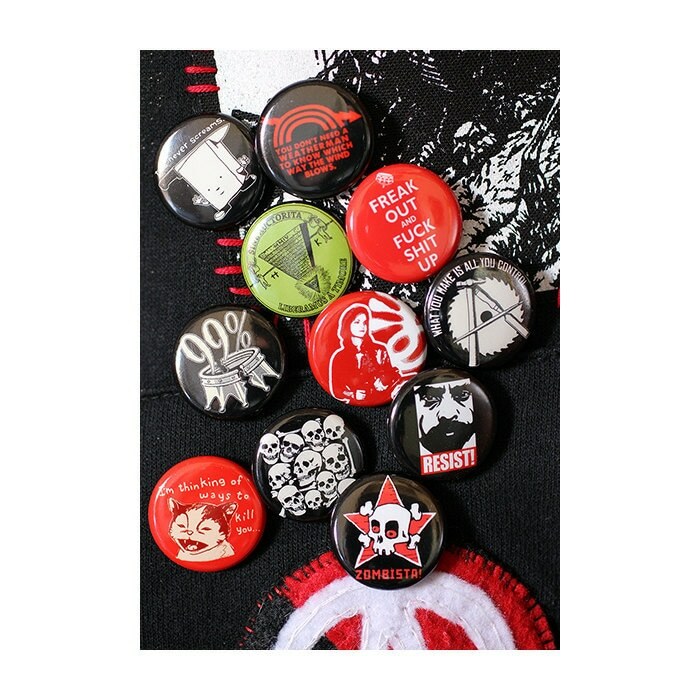 Buttons, postcards, stickers and patches are shipped via USPS First Class. USPS First Class usually delivers in 5-7 business days. There is no tracking information on items shipped via USPS First Class. All international orders are shipped via USPS First Class International. USPS First Class International typical delivers within 10-15 business days but can take longer due to delays at customs leaving the US or entering your country. International orders of T-shirts, Desert Flowers, totes, keychains and jewelry will receive tracking information. International orders of buttons, postcards, stickers and patches will NOT receive tracking information. International deliveries may be subject to import taxes, customs duties, and/or fees imposed by the destination country. The buyer is responsible for any fees at destination. We do our best to get your order shipped quickly and securely but we are not responsible for any unforseen delays with USPS. USPS Priority packages are insured for their value up to $50. Contact us for additional insurance for orders over $50. Shipping specifics are provided on every product listing. Send a convo if you need faster a shipping option or if you have shipping questions. All jewelry items are sent in a gift box with a pretty ribbon. If you are sending a gift, we’ll happy to include a note from you. Gift wrap is available on some items, convo us to discuss. Items must be returned in new condition. T-shirts and bags that have been worn or washed are not eligible for return. Wholesale inquires welcome, send us a convo for more info. great seller! thanks very much! everything in my order was impeccably wrapped, arrived super fast, and is awesome. great shop! 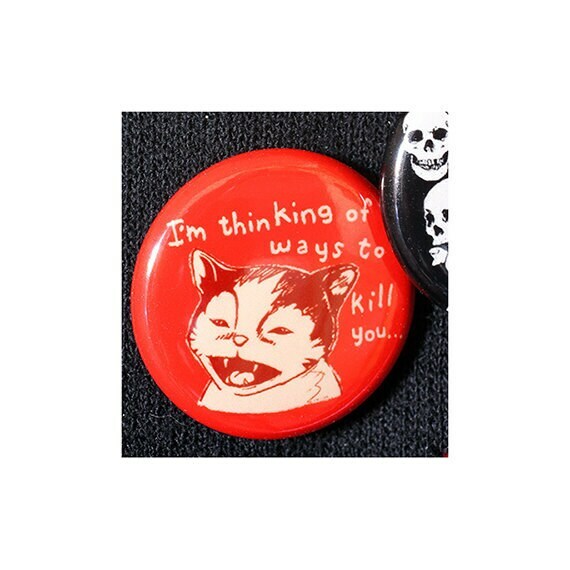 Cute and funny, thanks for the surprise extra button!